"Getting Around the Limited Access Staircase" was inspired by a yearning to understand the great "secrets," both spiritual and personal, which Venice evokes so powerfully. 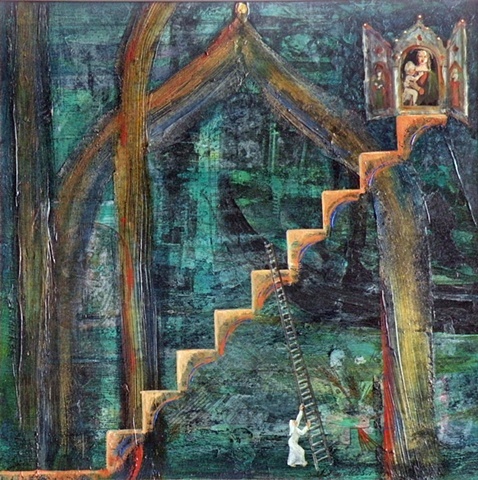 The little woman wants to climb the huge staircase to the "Mysteries," to all the spiritual treasure which seems to be withheld from ordinary people. Using a tall ladder, she is making an end run to get to her goal.